I've shared before that I started watching the entire series of Parenthood back in January. I just finished this weekend. I crammed six seasons of thirty-nine minute episodes into six weeks! It was ridiculous! I was eating, sleeping, and breathing this show. Once I got close to the end I was determined to see how it ended as quickly as possible. Tab would get home and laugh. I watched while I cooked dinner. I watched before bed. I was watching all the time! If you haven't watched this series, I strongly recommend it!! It might make you want to have four kids and a big table outside under some pretty outdoor lights, but you won't regret it! If you don't want to hear endings or things that happen, stop reading here. Check out this post after you've watched. 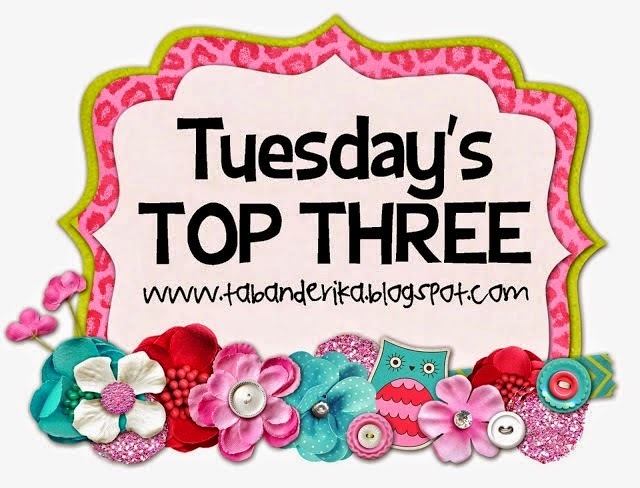 Today I'm sharing my top three (eh...I think I had four or five) favorite moments or things about the show, Parenthood. I LOVE LOVE LOVE the way Amber's life turned out!! She seemed to be fighting an uphill battle almost her entire life. A bad relationship with her dad, a fiance who had some major issues he had to work through, a big break-up, being a single mom, and on and on...I was so excited about seeing her married with another kiddo! And...I was so glad Ryan was a part of her son's life! Also...we watched Friday Night Lights and were big fans of that show too. I loved seeing all those guys throughout this series! I had to include this picture. Don't they look so gorgeous?? I can't be alone when I say that was one of my very favorite parts! He brought the sarcasm throughout the show and I loved it! I couldn't find the exact image I really wanted. When Joel showed up for Aida's baby dedication, I was a blubbering mess. My heart was so happy. He messed up. She messed up. But I was so glad he took that little step and came to the baby dedication. It was 10:30 p.m. and I was sobbing in bed. No lie. What team were you on?? I definitely thought they both messed up, but I have to say I was Team Joel! What about you?? Awe!!! Look how he's looking at her! So glad they got back together. This was definitely one of my very favorite story lines/moments. Especially the beginning seasons, she was definitely one of my very favorite parts. I'm sure all moms could relate to Kristina. I remember way back in the beginning she calls Adam (who is at work) and asks, "Where do you want to go for dinner tonight? I was thinking A (can't remember the names) or B." Adam responds, "Oh, let's go to A." Seriously, ladies!! If you've watched, PLEASE tell me your favorite part! I'd love to hear all about it! I was a HUGE fan of this show!! Team Joel or Team Julia? I also need your help about what to watch next. What do you think? You need to watch Hart of Dixie...Amber's husband is one of the main characters! My favorite part was the relationship between Ray Romano's character and Lauren Graham's character. I thought they were perfect for each other and I sobbed my eyes out when he went and asked her dad to marry her. Oh gosh, I sobbed! I never watched. I have NO IDEA WHY though, because this is totally my kind of show!!!!!! Maybe I'll start this summer! I LOVE Parenthood!!! It is one of my all time favorite shows!! For sure team Joel...and Kristina is so awesome! I finally decided the other night to give Scandal a try, and oh my goodness I am starting to wish I wouldn't have. I have been walking around the house doing chores holding the Ipad! Like you said, I watch it while I am cooking, while I am folding laundry, before bed, and basically all the other times in between!! It is so good!! 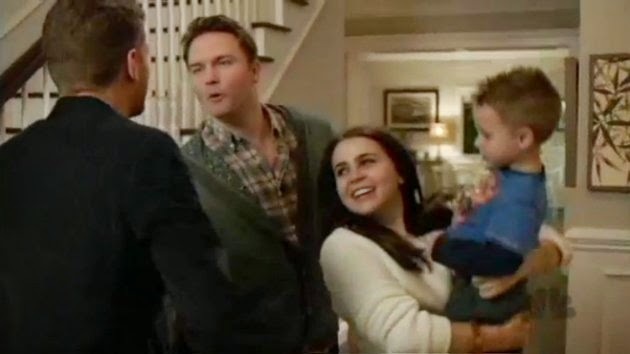 I don't know if I can pick a team but Parenthood is the ONLY show I have watched the past 3 years (I know, I am lame) and then they take it away from me! Ryan and I looked forward to it every week! Glad you watched it! I did the same thing!! Watched the whole series since beginning of February (was recovering from a broken hip so I was bed/couch bound for 8 weeks) and I binge watched it bc I was so ready to see what happens next. The final episode had to be my favorite. I cried from the moment she called Zeke and he didn't respond till they walked off the baseball field. What an awesome finale. I just wished it wasn't over. I loved the show, too. I think one of my favorite parts is when Amber tells Zeke that she is pregnant. His delight in that moment made me cry. I can't believe I've never watched this show !!! I cried all the time at this show!!! I loved the ending. So many times a show ends and they don't give you closure. But I was happy that they showed everyone it was amazing! I think my favorite was that Amber named her baby boy Zeek. I died in that moment and used a box of tissues! I was team Joel all the way! I would suggest Gilmore Girls if you haven't watched it yet! Okay, I just finished season one, so I skipped the spoilers. we are loving it!! Team Joel also! Although I loved Julia a lot, I really didn't agree with what she did and how she handelled herself afterward. It always seemed like she was still looking for Joel to apologize in the beginning even when she was in the wring. LOVED THIS SHOW!!!! Ps also love your blogs!!!!! LOVE LOVE LOVE Parenthood! I couldn't pick a side... I just wanted Joel & Julia to get back together! You should definitely watch Gilmore Girls next! Lauren Graham (Sarah Braverman on Parenthood) and Melissa McCarthy are amazing! It is one of those shows you can watch from beginning to end over and over! I am on season 4 of this show, I only started watching about two weeks ago, so I skipped your spoilers as well. But, I LOVE this show so much. I don't know how I missed it while it was still airing on TV. This show makes me laugh and cry, often times in the same episode, which I think is the criteria for a good show! Can't wait to see what happens in the last few seasons. One of my all time favorite shows! There are so many great moments, but one of my favorites is when Zeek takes Amber to see her car after she was drinking and driving with a friend and he tells her "I dreamt you, Amber. You do not have permission to mess with my dreams." I think I may have used a whole box of Kleenex during that scene. Another favorite would be when Julia spent all day outside of the school so Victor would know she would always be there. I could go on forever, there was a "favorite" moment in every episode! I love, love, love Parenthood!! My husband and I just started watching it about a month ago. We are almost at the end of season one. 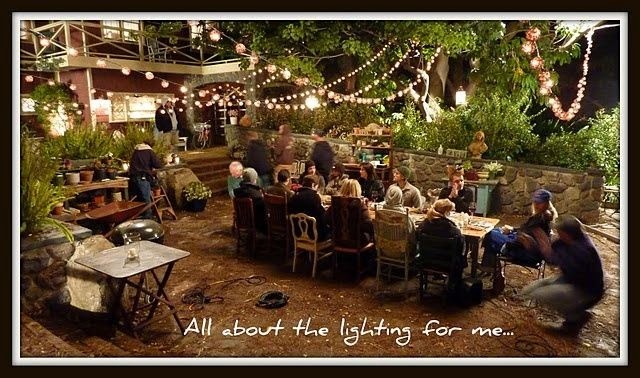 I want their backyard with the long table and lights for family dinners!! Someone told me one time that they didn't like this show because it made them cry all the time and that is the truth! My husband looks over at me and laughs because I am always crying while watching it! I LOVE that show too! I binge watched all the seasons this summer to get ready for the final season. I think I watched them all in like 2 week! OBSESSED. I love all the moments you mention..totally team Joel! SO cute, that guy! I love how the writers really pulled everything together at the end. Brilliant! I miss watching now so much! I am enjoying checking in on your blog every day Erika! I can't say enough about this show, and I'm so sad it's over. My Thursday nights are pretty boring without the Braverman's. I think the writers and actors did an awesome job with this series. As much as I hated the last episode because it meant it was over; it may have been my favorite episode of all time. I've started to watch it again because I have never seen season 1 and 2. I love, love, love it! Oh my gosh!!!! I loved both of those!! I cried when Julia stayed in he parking lot all day! So sweet! Thanks for sharing!! Max was such a good actor. I remember thinking "I'm so proud of that kid". I had to remind myself it's just a show! Hahaha! Hart of Dixie?! I need to check it out! Hahahahaha!! I agree! They made the perfect match! You need to watch ASAP! I know what you mean!!! We haven't watched this last season of Scandal but that's a good one too! Eek!!! I didn't know you watched! Why have we not discussed this? Hilarious!!! I was heart broken they had separated! I understand! Yes!!! The end was great!!! I'm putting Gilmore Girls on my must watch list! Change that right now...go watch! We need to chat whn you're finished!! One of my all time favorites! I loved how it was so relatable, and the ending was perfection. They honored their dad, while showing that they all made something of their lives. And I was Team Joel all the way! I have to say this show is my ALL TIME FAVORITE show. My favorite part was all of it, i bawled when it came to joel and juella just because i can relate to their history. But i did love when zeek and his wife asked Amber to move in with them. That part had me in tears! I just watched the entire series in less than a month!! I was OBSESSED to say the least! I loveeeeed Crosby!! He was hilarious but so sweet at the same time. Totally team Joel too! I did the same thing with parenthood is straight up consumed my life for weeks and when I heard it was ending I finished netflix when they were on the few week break before the last few episodes I went through serious withdrawals. I ugly cried the last few episodes. I love this family and I love this show I mean who cant relate they touched on every family issue and made u feel normal! I am totally Team Joel! I am so glad they got back together! I watched the last episode numerous times to see what I missed about the flashing forward scenes. Love the way they ended it with Zeke too! couldnt have done it better myself it made it not so sad! I will stop now but I totally agree its the greatest show so sad its over! may we all stay forever young.. 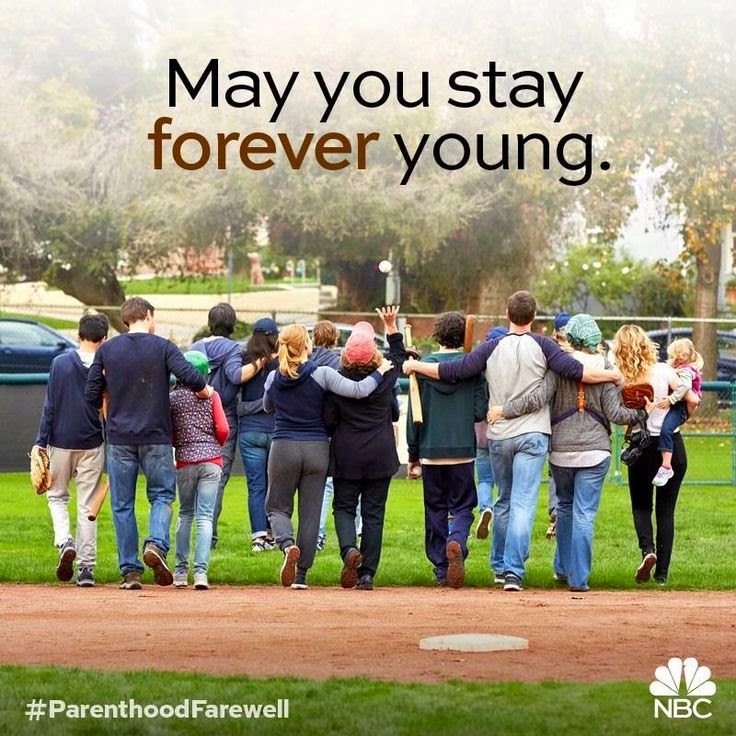 I don't think I've cried during any show like I did during Parenthood, I'm so sad/mad it's over. My hubby's name is Zach, but his buddies have always called him Zeek and I LOVED Zeek (or Coach haha) on the show. Also, did you know that Lauren Graham and the guy that plays Adam are together in real life? :) PS- Joel is hot.. there, I said it. Total hunk! BEST SHOW EVER!!! I have watched the entire series twice now. Crosby is DEFINITELY my favorite character. He was an ego-centric screw up who ended up being an awesome family man. And he's hysterical and just all around adorable! My favorite moments from the show are hard to pinpoint, but I have a son with autism so the character of Max really resonated with me. We deal with so many of Max's issues on an every day basis and it was awesome to see how autism was portrayed in this show. On the other hand, my least favorite character was Hank. I didn't particularly like Ray Romano in this role (because I love him as Ray Barone from Everybody Loves Raymond.) I wish Sarah ended up with Mark, the teacher. But really, I can't "complain" because the whole show was just SO GOOD! The Joel and Julia story line was my absolute fave!! I switched off between team Joel and team Julia depending on who was acting more crazy :) You should google some of the stories the writer has about the end of the series- apparently amber's husband was a single dad and they met playing with their kids one day! So sweet!! 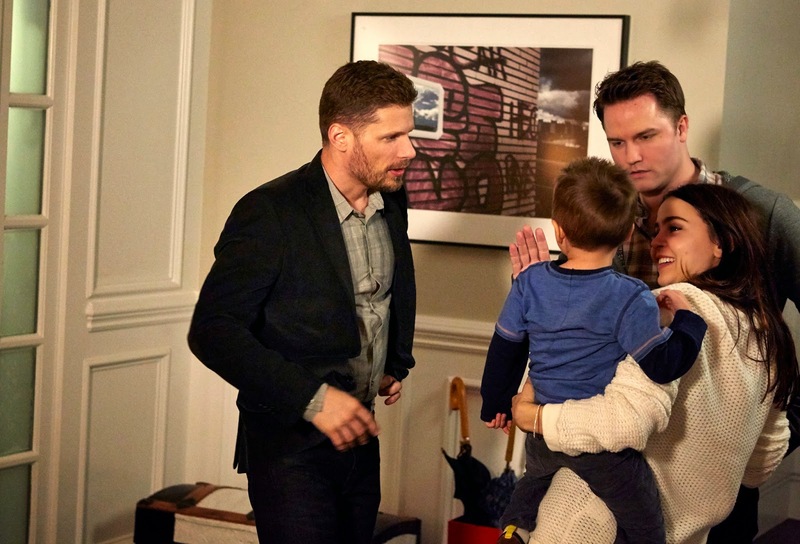 Oh man, I am SUCH a Parenthood fan too. My husband and I began watching the series on Netflix around the same time as you and just finished. I feel like I've lost a family member or something now that the show is over!!! I'm so sad to not have any more episodes. My favorite part was when Max explains that someone peed in his cantine on the school field trip and Kristina climbs in the backseat to hug him.. Cry my eyes out!! That scene made me wanna just give max a big ole hug myself and punch the kid who would do something so mean! We are in the same boat of finding a new series now. Would love to hear if you find another good one, it's going to be so hard living up to the Braverman's! Parenthood is amazing. so well written and acted. i cried buckets at the final show. LOVE this show! There was some intense ugly crying going on the entire finale episode - even in happy parts. I started crying 5 minutes in and didn't quit. There are too many good storylines to pick my favorite but one of my most maddening/heartbreaking moments was the elevator scene after Joel and Julia met with their lawyers and he gave her the house. Breaking into a hug - they so clearly loved each other! So happy they ended up a (BIG) happy family! I've just started parenthood, but you must watch hart of Dixie! It is SO good!! Cried LIKE A BABY on the finale. HIghly recommend the show! I do not have a favorite part because the WHOLE series was my favorite! Everything, every person, every story line. I loved Zeke and I bawled when he died. I bawled when Hattie went off to college (Having sent 2 off myself) just everything was awesome and I am still devestated they took it off. I am re-watching it on Netflix now. I was team Jula! I think is one oft favorite series ever. It was so real and what families do. You can be proud of max because someone out there is going through that. It's so funny! I love Tina Fey and her writing, it's just too clever. 30 Rock is equally as funny, if not funnier! Oh my gosh, your Aunt Rene' got me hooked on this show. I am only on Season 2 and there is no way I can do anything else while I am watching it. I get so engrossed in the show I think my house could be on fire and I wouldn't know it. I didn't read the spoilers but I will say I don't think I have watched one episode that I didn't either laugh or cry or both. And, yes, I want a big table under lights in my backyard. I don't think I will get it finished in 6 weeks though. My favorite subject! I did the same thing you did, and just finished up recently too, I'm so sad I almost want to watch it all over again! I totally agree with your top 5, and I was so mad at Joel at first, then OMG I was so mad at Julia! 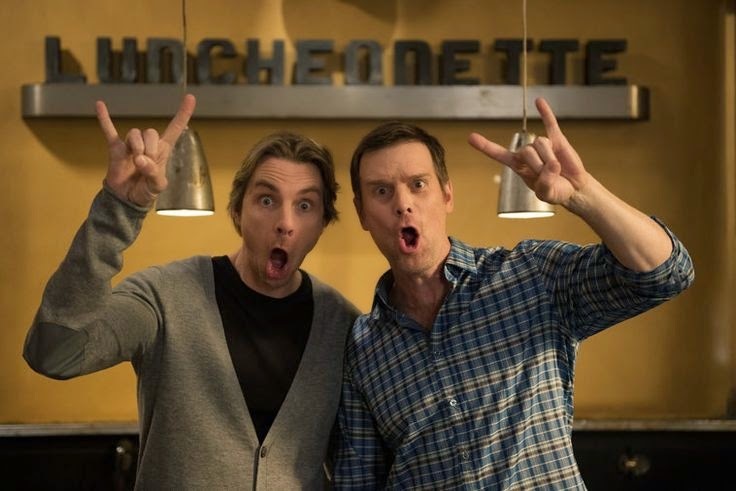 Bravermans for life! Oh, and Drew, didn't you LOVE Drew??!! Absolutely love, love, love Parenthood! Some of my memorable moments are when Julia and Joel adopted Victor, when Kristina made the goodbye video for her children (cried like a baby all during that! ), and when Max ran for class president and won. Julia definitely reminds me of myself, but I was always on Team Joel! :) You should also check out the movie Parenthood too. Also, Lauren Graham wrote a book that I really enjoyed (Someday, Someday Maybe). My 2 year old daughter is being evaluated for learning delays/ autism. It is so funny because I was just thinking the other day that I wish a show would have an autistic kid in it. I saw this post about how much you loved this show and decided to watch one episode and see what it was like. I didn't read your actual post on it or any of the comments. The part is that from the very first scene with Max... When his father first approached him about going to his baseball game I knew within seconds that Max has Autism. I was so shocked. I am so happy that such a big show is tackling such a big issue, my only fear is people will watch this show and assume all children with autism are the same. Which is the furthest thing from the truth. It's a spectrum disorder and kids can fall anywhere on it. You can go from kids that show a lot of the issues to kids who only have bits and pieces of it. My daughter for example loves people, makes eye contact, feeds herself, talks, sings along to songs, has no issues with schedules or things being exactly the same. She isn't afraid of fire like max she finds it fascinating, however, she is terrified of bath bubbles. She is in a regular daycare and has no issues getting by without extra help. If she is diagnosed she will be very high functioning. You would never think from being around her that she could have autism, you would maybe think she was a tad quirky lol. My cousin Frankie has moderate to severe autism. He is in his 20's. He does say a few words and feeds himself, but he isn't a fan of people and will sit in the corner trying his best to not look at anyone and avoid all conversation. My biggest fear for my daughter is not being treated the same. She is so close to neuro typical that if she does wind up having It go back and forth whether I want anyone to know. On one hand I don't want to tell people bc there is a really good chance she could make friends and that people would treat her normal. Which is all I want for her. I don't want people to start being weird around us or her. On the other hand I don't want to hide who she is. I think it's important for people to see that autism can be so different then what a lot of then associate it with. At the end of they day this is all a journey. We can only make these decisions as we go. Whether Lily has autism or not she is beautiful, and smart, and I wouldn't trade her for any other child! Thank you so much for advertising this show. I'm onlu on season 2 but it has been a life changer for us. Parenthood is my favorite show of all time! 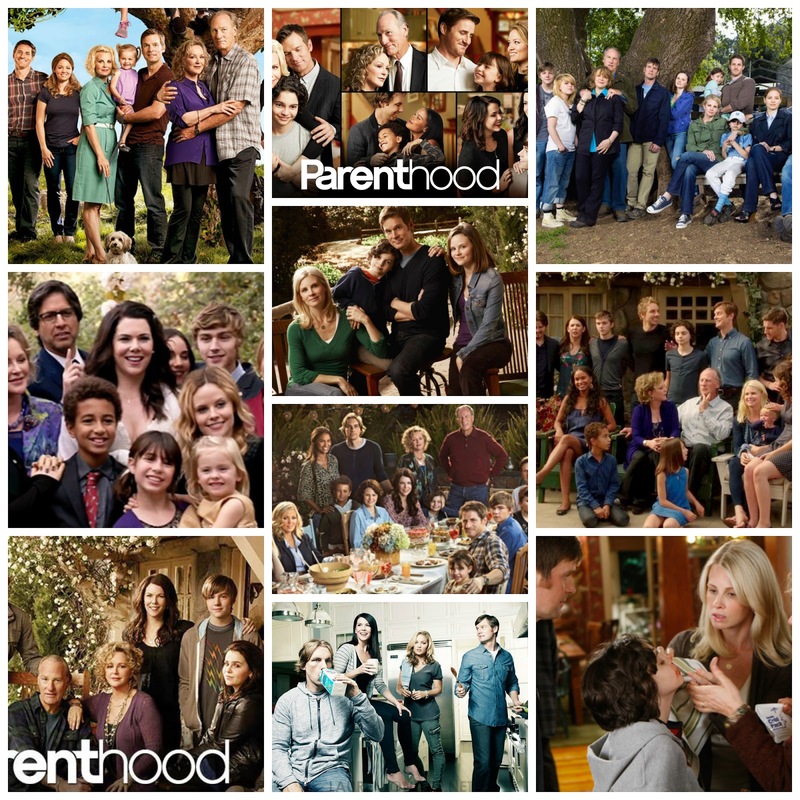 It used to be Gilmore Girls, but Parenthood wins. I watched it real time so I'm sure there's lots of favorite moments I'm not thinking of. I definitely loved how Zeek was such an incredible dad and grandpa and all of his heart to hearts with everyone. I was actually Team Julia. Joel was possibly my favorite character the first several seasons but he should have fought harder for his wife/family. So glad they ended up back together and LOVED how they gave us a glimpse into the future at the end. THE BEST!